With the knockout stage's number of upsets, the League of Legends World Championship semifinals will be tough to predict, but given the team's past performances, Fnatic and Invictus Gaming look like the teams most likely to make finals. ​​The first match will take place between Invictus Gaming and G2 Esports. One of the biggest differences between Invictus Gaming and its opponent is consistency; G2 Esports frequently struggled throughout the year, just barely making it to worlds before ​it narrowly defeated the world's strongest team, Royal Never Give Up. On the other hand, Invictus Gaming always found itself towards the top of its competition, and has remained so at the world championships. Looking at the rosters, there are several places where the teams seem to differ in individual talent. Invictus Gaming's biggest roster weakness lies with its jungler, Gao "Ning" Zhen-Ning, while G2 Esports' jungler Marcin "Jankos" Jankowski serves as a rally point for his team with his aggressive jungling tactics. Luka "Perkz" Perković displayed an incredible performance on Leblanc during the quarterfinals, but the mid laner failed to stand out in the past compared to Invictus Gaming's mid laner Song "Rookie" Eui-jin, who many currently regard as the best mid laner in the world. G2 Esports has already faced its most difficult opponent in RNG. However, Invictus Gaming will not be any easier to defeat, so G2 Esports' success lies in whether or not the team can perform as it had in the quarterfinals. Given the team's consistency issues in the past, viewers shouldn't solely rely on the team's performances in quarterfinals as any indication of future matches. I'll be interested to see how FNC combat C9's early game aggression. They struggled at times versus EDG's early game and C9 looked even better in that phase of the game. The same consistency differences hold true for the second semifinals match between Cloud9 and Fnatic. 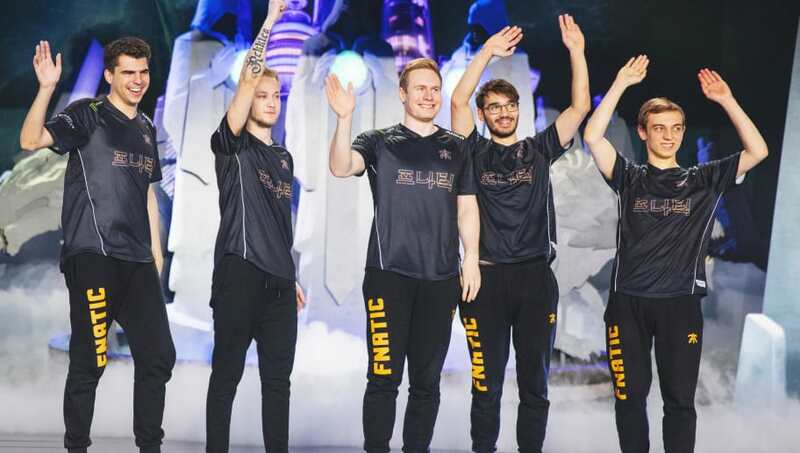 The European ​League of Legends team ended both the spring and summer split first in its region, while Cloud9 experienced difficulties when it found itself in tenth at the beginning of the summer split. Likewise, the North American team struggled in play-ins, even being ​threatened by the smallest region, the Japanese region. The teams' rosters look fairly similar: impressive rookies in the top lane, impactful junglers, play-making mid laners, and AD Carries that excel in teamfights over laning phase. The biggest difference between the two rosters lies in the bot lane. Fnatic has the stronger AD Carry in a meta that has revolved around late-game carries. Both Martin "Rekkles" Larsson and Zachary "Sneaky" Scuderi have shown weakness in lane while coming online for teamfights, but Rekkles boasts the better mechanical skills both in lane and late-game. The junglers's performances on the team impact this matchup as well; Mads "Broxah" Brock-Pedersen played for Fnatic consistently throughout the year where Cloud9 often subbed out Dennis "Svenskeren" Johnsen for its rookie jungler. Both junglers have showcased incredible plays in the past, but Broxah has done so more frequently throughout the year as the result of his stage time. The matchup in the bot lane will likely be the deciding factor of the series, and if Fnatic can prevent Cloud9 from gaining any early game advantages, it will surely best the North American team. Invictus Gaming and G2 Esports play Oct. 27 at 4 a.m. ET, while Cloud9 and Fnatic will play the following day at 4 a.m. ET.